The Divergent cast for the upcoming movie has been quite secretive thus far. The only early announcement for the cast of Divergent was Shailene Woodley (see below) as Beatrice (Tris) Prior and we all are dying to know who is going to play Tobias Eaton / Four in the Divergent movie. Summit Entertainment (Lionsgate) picked up the film rights to the Divergent book series by Veronica Roth in April of 2012. The Divergent movie is set to start filming in March of 2013 in Chicago, IL. The movie is set to be released in theaters on March 21, 2014 (a long wait for us fans!). Shailene Woodley has been chosen to play the role of Tris during Lionsgate's filming of the Divergent movie series. She is best known for her roles in movies like The Descendants and TV shows such as ABC Family's The Secret Life of the American Teenager. Shailene has also been chosen to play the important role of Mary Jane Watson in The Amazing Spider-Man 2. These two huge movie roles position her to possibly be one of the top Hollywood actresses in 2014. Reviews for Shailene Woodley playing Beatrice Prior in the Divergent movie have been mixed. Please vote in our free poll below to let us know whether or not you think she is a good fit as Tris! 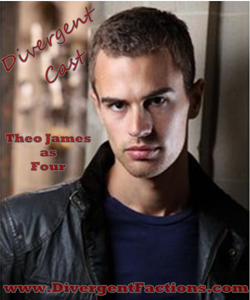 The role of Tobias "Four" Eaton has been announced by the creators of the Divergent movie and Theo James has won the role! Opinions are very mixed on this actor with some saying he is good looking and will be great opposite Shailene Woodley and others are saying that Theo James looks too old for the role (the same opinion I originally had when Jennifer Lawrence was cast as Katniss in Hunger Games- boy that turned out well though!). WHO IS NOT GOING TO PLAY TOBIAS "FOUR" EATON? One site had said they have confirmed Alex Pettyfer in the role of Four and sent the Divergent fandom into a tizzy. Alex himself even Tweeted the word "Divergent..." on January 22, 2013- this may have just been a tease for his fans. Shailene Woodley said in interviews that she wanted a man who can use his muscles to play opposite her, not just a pretty boy, and I'm sure her opinion weighed heavily on the decision. An old poll showing who fans previously wanted in the role of Four (before we knew that Theo James had gotten it and after we knew Jack Reynor would be in Transformers) showed a lot of fan support for Jeremy Irvine and Brenton Thwaites. Photos of the other actors that were considered are found in the slideshow below. 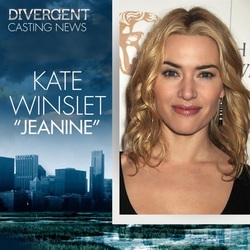 It has been confirmed by Veronica Roth that the role that Kate Winslet has picked up is the role of Jeanine, the Erudite leader. Winslet is best known for her role in Titanic. Kate tends to pick strong female roles, so Jeanine was a perfect fit for her. We all know that Kate is a very smart lady, but do you think that she can be evil enough to play the Erudite leader? Kate Winslet is originally from England and her birthday is October 5, 1975.
Who Will Play Caleb Prior in the Divergent Movie? 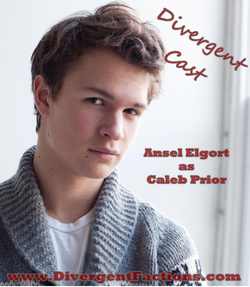 It has been revealed that the role of Caleb Prior (Beatrice's older brother) in the Divergent movie will be played by Ansel Elgort. Ansel is going to be in the movie Carrie that is set for release on October 18, 2013 but does not have any prior movie credits. His father, Arthur Elgort, is a famous fashion photographer. Luke Kleintank had also posted on Twitter that he auditioned for the role of Caleb Prior, but he did not get the role. His exact Tweet said, "Tested for Divergent for the role of Caleb!! #Divergent #Shailene Woodley." Looks like the Divergent movie is one that many celebrities want to be a part of. The role of Christina has gone to actress Zoe Kravitz. She appears to be a perfect fit for the Divergent film. Zoe was in movies like X-Men: First Class and The Brave One. Her father is the famous musician Lenny Kravitz (who plays Cinna in the Hunger Games movies!). Zoe is from New York City and her birthday is December 1, 1988. We think she definitely looks tough enough to play the role. What are your thoughts? Previous rumors had placed actress Jessica Sula in the role of Christina but are not true. Miles Teller will be taking on the role of Peter for the movie! There has already been a lot of feedback that Miles is great at playing the bully from the book series. He was in The Spectacular Now with Shailene Woodley and also had a major role in the recent Footloose remake. His birthday is February 20, 1987 and he was born in Pennsylvania. Who is Going to Play Tori in Divergent? 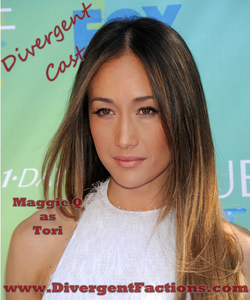 The role of Tori (Dauntless member from the aptitude test) has been cast to Maggie Q. Maggie Q is known as being an action star in movies such as Live Free or Die Hard and on television starring as Nikita. Her full name is Margaret Denise Quigley and her birthday is May 22, 1979. She is 5'6" tall. 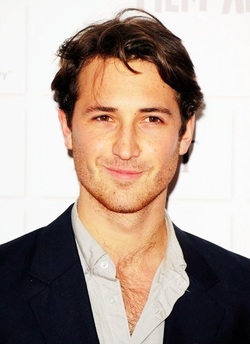 The role of Will has been giving to Ben Lloyd-Hughes. Ben's full first name was Benedict. He was born in the UK in 1988. This makes him around 25 years old. Ben's most recent movie was Great Expectations. In this movie he played the role of Bentley Drummle. Ben's brother has been in many movies. His name is Henry Lloyd-Hughes and one role you may know him from was the role of Roger Davies in Harry Potter and the Goblet of Fire. 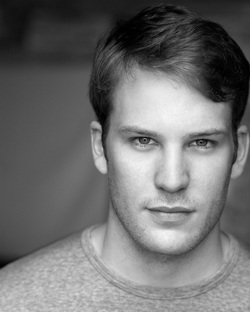 Ben Lamb has landed the role of Edward in the Divergent movie! Ben is relatively unknown at this point (the fandom knows he will be famous soon though!). He has been on a couple of TV series such as his current role on The White Queen. What do you think? Are you Team Edward? Al will be played by Christian Madsen. He comes from a family full of actors and is sure to do a great job. Christian was born in 1990 and is 6'2" tall. He can be seen in the film Refuge from the Storm among others. 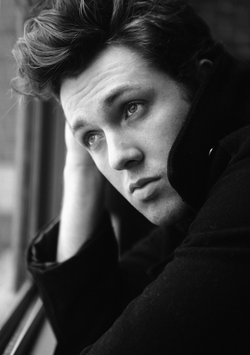 Do you think Christian Madsen is big enough to play the role of Al in the Divergent movie? Eric, one of the Dauntless leaders (and an evil one at that! 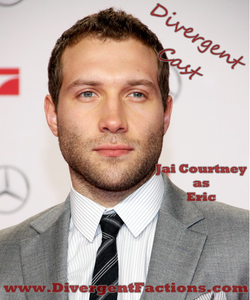 ), will be played by Jai Courtney. Jai Courtney was recently in the movie A Good Day to Die Hard. He was also in the movie Jack Reacher and on the Spartacus: War of the Damned TV show. He is 6'1" tall (the same size as Theo James who will be playing Four) and should be a great villain next to 5'8" Tris (Shailene Woodley). We'll add more details on this page shortly. Mekhi is from E.R. and Ray is from the show Dexter. What hasn't Ashley Judd been in? (Dolphin Tale, Tooth Fairy, Double Jeopardy, and Heat to name a few). They're pulling in some big name stars for this film! Rumors about the Divergent movie are everywhere. One rumor has actor Booboo Stewart (Twilight series wolf) and Romeo trying out for the role of Uriah. These have not been confirmed, but this page will be updated as developments arise. Thank you for stopping by! Please let me know your thoughts about the Divergent casting choices and whether or not you think this movie will be as big as top sellers like The Hunger Games and Twilight.